Swedish photographer and writer Martin Brink recently set up ‘The Digital Photobook’, a place to discuss and review how photographers and photography is exploring new possibilities in digital publishing. 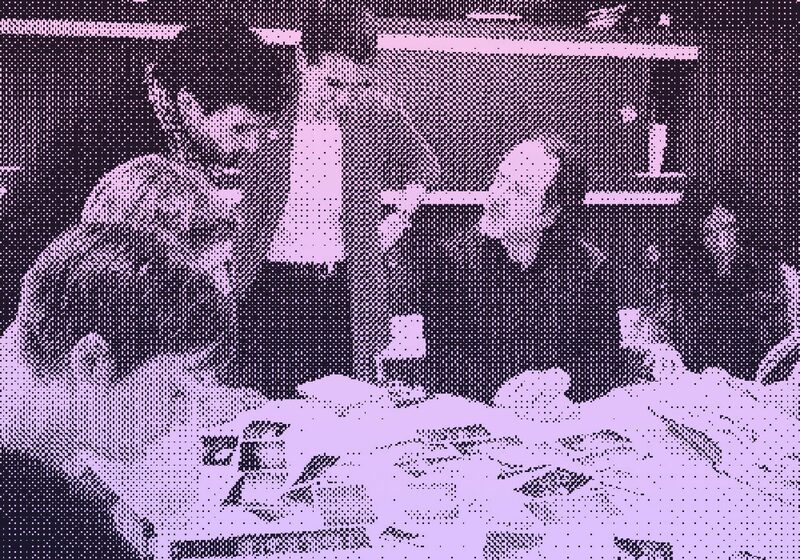 As part of this site Martin put 5 questions to me about The Photobook Club, our meetups and the choice to publish ‘Invisible City, A Digital Resource’ digitally. Today I am pleased to announce the launch of a digital publication looking closely at Ken Schles’ photobook Invisible City. This publication is currently available as a direct download for the iPad but will be available on more platforms shortly. This publication takes on a magazine-style format, inside of which you will find not only the images and text featured in Invisible City, but a variety of personal reflections, commentary on the process of creating Invisible City from Ken Schles and even original notes from a lecture given at New York’s International Center of Photography in 1990. After the success of the inaugural PBCNY meeting in Febrauary, Helka Aleksdóttir has arranged meetup #2 which will take place on the 21st April at the InDi-go-CuBe, Long Island City. I have been thinking a little about memory lately (I can partly blame Ken Schles’ talk here) and have enjoyed seeing posts regarding the Google ‘Visually Similar Images‘ search. I was also casting an eye over the Galata Bridge experiment over on LPV Magazine this past weekend and thought I would try a one-man band version, only with images solely from ‘Uncommon Places’, and no sequence in mind, and no commentary, so really nothing like it! And so what follows below are Shore’s images that triggered a memory of another image, perhaps they are a little on the nose, and certainly informed by the latest books I have been looking at, but I find them interesting nonetheless. If you have your own memory-pairs in mind, send me a link and I will upload them. A few months ago Ken Schles spoke at the SPE Northeast Conference in Syracuse, if ever there was a dream-team conference, this was it for me! Ken’s talk was posted online yesterday and I recommend anyone with even a passing interest in photobooks must take the time to view it. Ken takes us through all four of his monographs, looking both at content and theme as well as the publication challenges and triumphs he experienced. What most interested me is just how much Ken’s books seem ultimately to form chapters in a much larger body of work, his interests and more importantly questions are never repeated, but we are reminded of them constantly. As I have mentioned often in this process we are truly thankful that Ken has taken the time to illuminate us through a book that the majority of readers had never seen in it’s entirety. And one that only gains from Ken’s insightful and open posts. I would like to think that this book has become more accessible in some form to its new audience, it absolutely deserves to be seen. Below is a list of all posts and reflections that have been shared this past month, which forms the most comprehensive archive we have created yet. 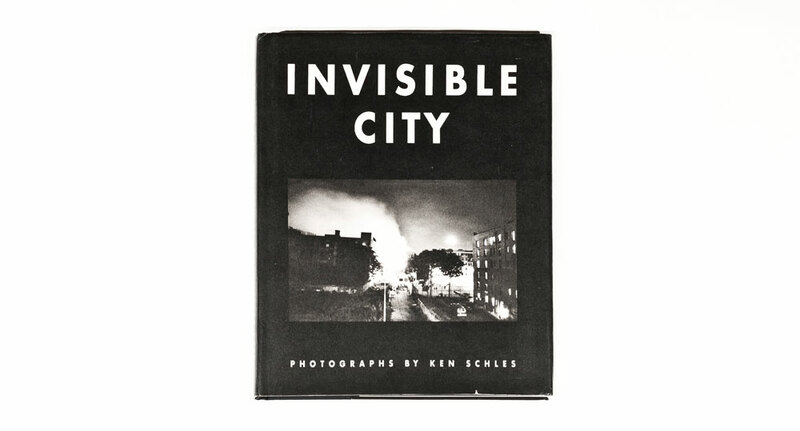 The first thing I said upon seeing the ‘Invisible City’ in it’s entirety was simply, “wow”, unfortunately at the time I was across the table from Ken Schles himself who had kindly agreed to lend the Photo Book Club a copy. It was a ‘Frasier-like’ moment when I really wished I had something more intelligent to say. I also wished that I had a memory of this time and place depicted in such dark tones within Ken’s images, I wanted to layer my own history onto Ken’s page and relive a particular time through different eyes. But I have no memory of Ken’s subject and so Invisible City was new for me, allowing me to search without reference and without the worry of reality or history. It was like reading a book as a kid, each character would come to life and create a movie in my mind. There are books in which the authorial presence is constant and reassuring, in Invisible City I felt I was left alone to wander and explore Alphabet city, a fascinating, daunting, exciting and entirely unfamiliar place to be. To me, Invisible City is not just a poem to the night (As Jeff Brouws commented) but a poem to the book, a reminder of how powerful the book as a medium can be. Single images are erased from my mind as I follow the darkest black tones from page to page, much like a shadow stretching across the entire spread of images. A photobook is a selection of images, and a good photobook is a fantastically sequenced and edited selection of images. 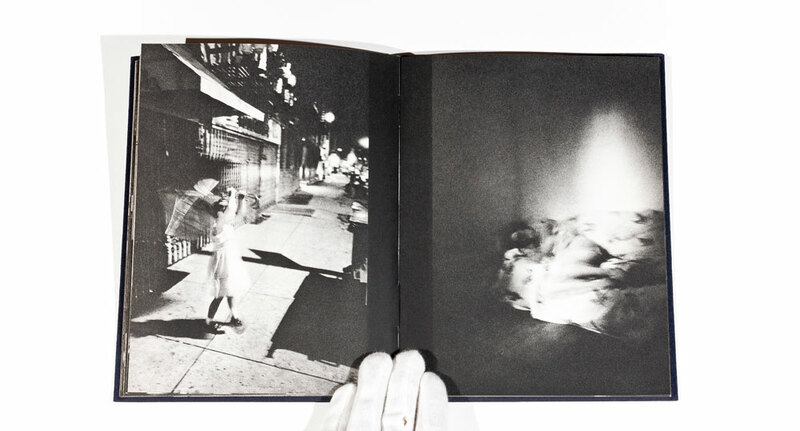 Invisible City is just one, single, poetic image. I want to thank Matt Johnston and Wayne Ford so very much, once again, for taking on Invisible City. I hope people not already familiar with IC found something here. For me, this month has been a great ride. The Photo Book Club re-connected me to that challenging time—not only to people I once knew but it also reaffirmed bonds with people I’ve known on through into our current challenging times. I want to personally thank those who wrote so eloquently about their memories and the significance Invisible City had for them: Some of you I’ve met in later years and some I still have yet to meet—and look forward to meeting. I have to say it’s been extraordinarily good timing for me to revisit Invisible City. It gave me insight on current work, as well as old. Because of this Photo Book Club process, I dug out things I barely remembered I even had. It’s help me with talks I am about to give and it was helpful in organizing the Invisible City images to exhibit at the Bursa Photo Festival. And good timing as well as I consider a reprint in the book’s future. Images in this dummy have not appeared previously anywhere (if memory serves me) with the following three exceptions: image on left at the 2:11 mark, image at right at the 4:00 mark and the back cover image all appear in my book, A New History of Photography: The World Outside and the Pictures In Our Heads (plates 61, 35 and 31 respectively). The back cover image is also in the collection of The Metropolitan Museum of Art in New York. This is a hand-made 64 page book prototype (including covers) composed of material I considered for use in the book Invisible City (Twelvetrees Press, 1988). None of these images appear in the final printed version of the book, however. The images here were scanned from original prints used in a book dummy that was a forerunner to Invisible City. The plates used to print Invisible City were also made from this set of original prints. The book dummy ends with my original notes for a talk I gave at the International Center of Photography in 1990. The full text, including the excerpt by Kathy Acker, from Blood And Guts In High School, can be seen here. Night draws from its body one hour after another. Each different, each solemn. Grapes, figs, sweet drops of quiet blackness. Fountains: bodies. Wind plays the piano among the stones of the ruined garden. The lighthouse stretches its neck, turns, goes out, cries out. Crystals a thought dims, softness, invitations: night, immense and shining leaf plucked from the invisible tree that grows at the center of the world. Around the comer, Apparitions: the girl who becomes a pile of withered leaves if you touch her; the stranger who pulls off his mask and remains faceless, fixedly staring at you; the ballerina who spins on the point of a scream; the who goes there?, the who are you?, the where am I? ; the girl who moves like a murmur of birds; the great tower destroyed by inconclusive thought, open to ,the sky like a poem split in two … No, none of these is the one you wait for, the sleeper who waits for you in the folds of her dream. Around the corner, Plants end and stones begin. There is nothing, nothing you can give the desert, not a drop of water, not a drop of blood. You move with bandaged eyes through corridors, plazas, alleys where three vile stars conspire. The river speaks softly. To your left, to your right, ahead, behind: whispers and cruel laughter. The monologue traps you at every step with its exclamations, its question marks, its noble sentiments, its dots over the i’s in’ the middle of a kiss, its mill of laments, its repertory of broken mirrors. Go on: there’s ‘nothing you can say to yourself. – Octavio Paz, from Eagle or Sun? Remember when I insulted you? When I vomited all over you? Where are you? Actually, none of this matters to me. I’m tired, that’s all. I’m sleepy. Don’t these endless discussions tire you? It’s as if we were a couple who, at five in the morning, with swollen eyes, continues on the rumpled sheets a quarrel started twenty years ago. Let’s go to sleep. Say good night. Show a little courtesy. You are condemned to live with me and you ought to force yourself to make life more bearable. Don’t shrug your shoulders. Be quiet if you want, but don’t go away. I don’t want to be alone: the less I suffer, the more unhappy I am. Maybe happiness is like the foam of the painful tide of life that covers our souls with a red fullness. Now the tide recedes and nothing remains of that which made us suffer so. Nothing but you. We are alone, you are alone. Don’t look at me. Close your eyes so I can close mine. I can’t get used to your eyeless watching. Memory is redundant: it repeats signs so that the city can begin to exist. vertical peaks, in utilizing or denying the natural site, the city records the attitude of a culture and an epoch to the fundamental facts of its existence. Even when lovers twist their naked bodies, skin against skin, seeking that position that will give one the most pleasure in the other, even when murderers plunge the knife into the black veins of the neck and more clotted blood pours the more they press the blade that slips between the tendons, it is not so much their copulating or murdering that matters as the copulating or murdering of the images, limpid cold in the mirror. I don’t believe people exist whose inner plight resembles mine; still, it is possible to imagine such people—but that the secret raven forever flaps about their heads as it does about mine, even to imagine that is impossible.